Two-hundred forty-three athletes will represent the United States. There are 135 men and 108 women, the closest the team has come to parity at the Winter Games. NBC paid nearly $1 billion for broadcast rights, and events will be shown on the parent network as well as NBC Sports Network, CNBC, USA and the Olympic Channel. 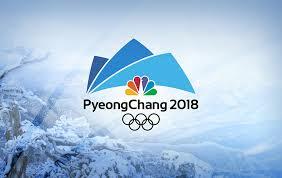 Live-streaming of all events is available at NBCOlympics.com or via the NBC app. There is a 15-hour time difference. Events listed here are those shown on that particular day in Central Standard Time. What to watch: Easy choice. The quandary comes in choosing how to watch the Opening Ceremonies: via live streaming at 5 a.m. or as a prepackaged, prime-time event. Either way, expect cold performers, cold athletes and cold spectators; North and South Korea marching in together under the Unification Flag; and the U.S. team sporting some eye-catching gloves. What to watch: American Red Gerard was atop the snowboard slopestyle World Cup rankings in 2017, and he’s there again going into PyeongChang: The 17-year-old holds a 450-point lead over Marcus Kleveland of Norway. Short-track speedskating begins, and the South Koreans are sure to go bonkers for their favorite sport, especially if the home team wins a medal. What to watch: American Mikaela Shiffrin is the best slalom skier in the world – in fact, the best skier in the world period. Defending champion Jamie Anderson and Olympic rookies Julia Marino and Hailey Langland are capable of a U.S. sweep in slopestyle snowboarding. What to watch: Snowboarder Chloe Kim makes her Olympic debut at age 17. Four years ago, she qualified for the Sochi Games but was under the age requirement. She has some talented teammates in Maddie Mastro and three-time Olympic medalist Kelly Clark. At the speedskating oval, expect a friendly duel in the women’s 1,500 between Heather Bergsma – the world champion and world record-holder – and teammate Brittany Bowe, who won at the Olympic trials. What to watch: The U.S. women’s hockey team compete for an elusive gold medal with a match against Olympic Athletes from Russia. Mikaela Shiffrin takes on the slalom course again, and Reston’s Maame Biney makes her Olympic debut in short-track speedskating. What to watch: World champion Heather Bergsma goes for gold in speedskating. The U.S. women’s hockey team takes on archrival Canada. The U.S. men’s hockey team, largely unknown players, plays its first game, against Slovenia. The free skate in figure skating pairs will determine the medalists. Three of the top pairs are from Russia. What to watch: The men take the ice for the short program in figure skating. Speedskating features the men’s 10,000, an endurance race that always provides a wild finish. Top contender Sven Kramer of the Netherlands could become the most decorated Olympic speedskater of all time. What to watch: Yuzuru Hanyu of Japan defends his men’s figure skating title. American Nathan Chen hopes to be in the medal mix; although he’s just 18, Chen can land multiple quadruple jumps. Freestyle aerialist Ashley Caldwell, who fell during the finals four years ago, gets another chance. Germany’s Claudia Pechstein, 45, could become the oldest Olympic speedskating medalist. American Lindsey Vonn, 33, tries to become the oldest Olympic Alpine medalist. What to watch: Susan Dunklee, who won silver in the 12.5km mass start at the world championships, has a chance to end the United States’ Olympic drought in biathlon. Jacqueline Loelling of Germany, 22, will try to add Olympic gold to the skeleton world championship she won last year. The United States swept men’s slopestyle in Sochi; two of those medalists, Gus Kenworthy and Nick Goepper, return. What to watch: American Maddie Bowman defends her gold medal in freestyle halfpipe. South Korea’s Lee Sang-hwa goes for her third consecutive gold in the women’s 500-meter speedskating. In biathlon, France’s Martin Fourcade, after back-to-back Olympic silver medals in the men’s 15km mass start, seeks a golden upgrade. Canada and France are favored in ice dancing, but any of the three U.S. couples could contend. What to watch: Tessa Virtue and Scott Moir of Canada, and Gabriella Papadakis and Guillaume Cizeron of France are favorites in ice dancing. The U.S. men’s freestyle halfpipe team is interesting: David Wise is the defending champion; Aaron Blunck won the world championship a year ago; and Torin Yater-Wallace will compete after nearly dying of a severe infection. What to watch: An injury sidelined Lindsey Vonn before the Sochi Olympics. Now, the 33-year-old will try to become the oldest woman in Alpine skiing history to climb an Olympic podium. Yevgenia Medvedeva, an Olympic Athlete from Russia, is favored to win women’s figure skating gold. The United States team is a mix of veterans and newcomers. Mirai Nagasu, 24, competed in Vancouver eight years ago. Bradie Tennell, 20, and Karen Chen, 18, make their Olympic debuts. France swept the podium four years ago in men’s freestyle ski cross, and Jean-Frederic Chapuis hopes to repeat his golden feat. What to watch: Can a skier be considered an all-time great without an Olympic gold medal? Marcel Hirscher of Austria thinks so, but he’ll try to add one to his résumé in the slalom. American David Wise defends his freestyle halfpipe gold medal. The U.S. women, led by Jessie Diggins, have a chance to break a medal drought in cross-country skiing in the team sprint event. Elana Meyers Taylor and Jamie Greubel Poser, medalists in Sochi four years ago, are back to lead their teams in the two-man bobsled. The Dutch could add to their speedskating medal haul with golds in the men’s and women’s team pursuit, but Japan is a favorite in the women’s event, and New Zealand – with just one Winter Olympics medal ever — could find the podium in the men’s. What to watch: Evgenia Medvedeva and Alina Zagitova, competing as Olympic Athletes from Russia, are favored to win women’s figure skating gold. The Americans counter with Bradie Tennell, Mirai Nagasu and Karen Chen. Julia Marino and Hailey Langland are contenders in the big air competition. What to watch: American speedskater Shani Davis, 35, competes in what may be his final Olympics. Bulgaria could get its first medal in snowboarding from Radoslav Yankov in men’s parallel giant slalom. Ester Ledecka of the Czech Republic could make history in the parallel giant slalom if she is able to medal in both Alpine skiing and snowboarding. Also, there are the men’s hockey semifinals and the men’s 50km cross-country race. What to watch: The U.S. bobsled program was reeling after the unexpected death of Steven Holcomb last year. Codie Bascue, just 23, has become the Americans’ best driver, but as usual, Germany is the team to beat. The men’s medal matches in hockey will be intriguing despite — or maybe because of – the absence of most of the world’s best players. Mass start speedskating makes its Olympic debut. What to watch: Given the time difference, the final day offers few choices, none of them live. The women’s cross-country gold and a replay of the men’s gold medal hockey game will have to tide you over until the Closing Ceremonies.